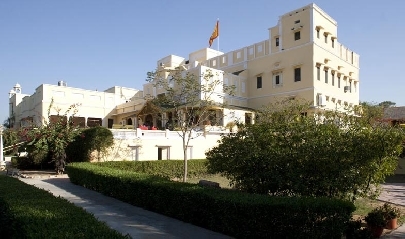 Hotel Roop Niwas Kothi is a well known heritage hotel in Nawalgarh, Rajasthan that portrays a wonderful amalgamation of Rajasthani culture and European styled architecture. 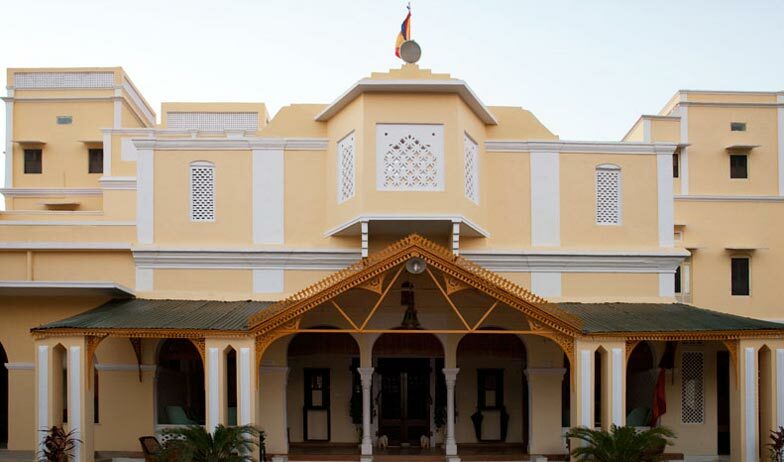 The hotel is 154 km from the Jaipur airport while the Nawalgarh railway station (4.5 km) is barely a 12 min drive away. The Nawalgarh bus stand is only 3.6 km from the hotel’s location. The heritage hotel offers several state-of-the-art amenities and services that comprise of parking facilities, currency exchange, car rental (surcharge), doctor on call, laundry and dry cleaning services, safety deposit vaults, travel desk and 24 hour front desk. Guests can enjoy recreational activities and facilities such as jeep safaris, folk dances, puppet shows, mehendiwali, children’s playground, billiards room, horse and camel safaris, cycling tours and trekking. 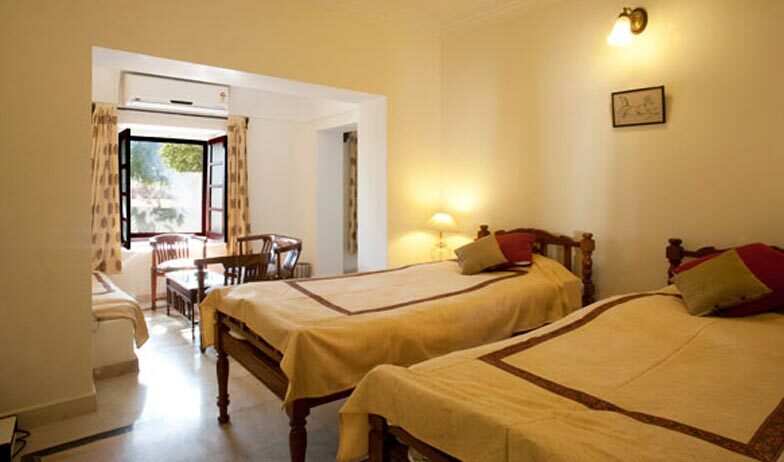 The hotel features a swimming pool and an Ayurvedic massage center where the guests can relax and rejuvenate themselves. 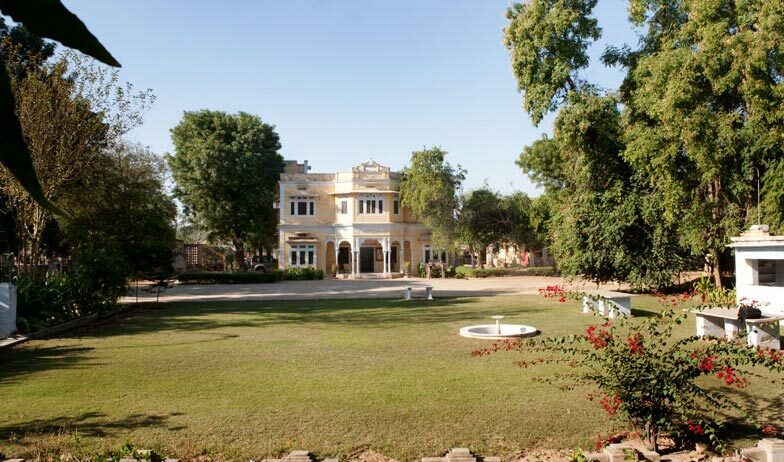 Nearby places for the guests to visit in Nawalgarh are Fatehgarh Fort, Bala Kila Fort, Laxmi Narayan Temple, The British Tower Clock and Sheesh Mahal. 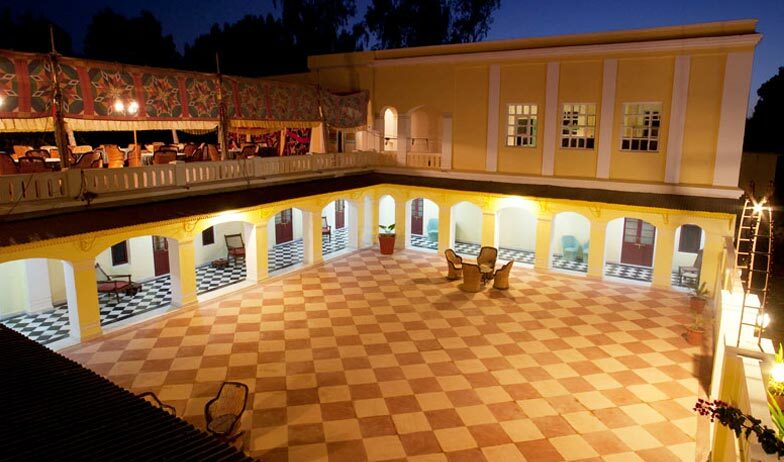 Enjoy the lavish Rajasthani royalty and traditional hospitality during your stay here. 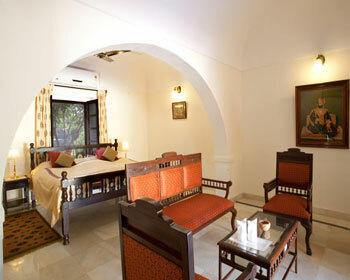 All the rooms are beautifully designed and well furnished with contemporary amenities. 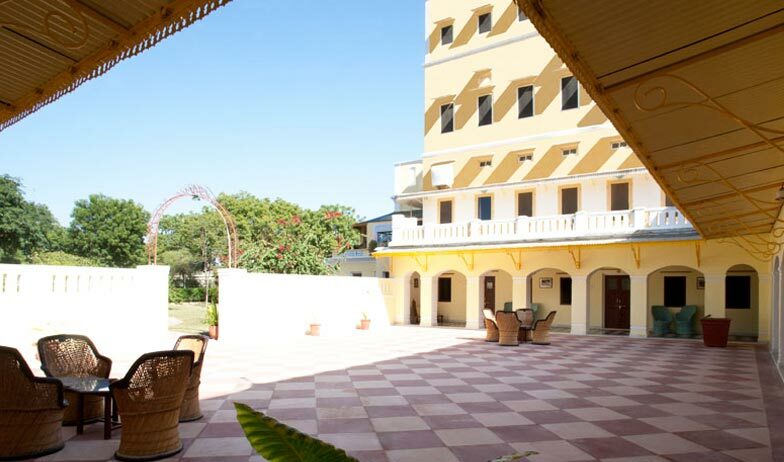 The rooms are centrally air conditioned and include facilities like color TV with satellite channels, direct dial telephone facility, Wi-Fi internet access, 24 hour room service and in suite bathrooms well appointed with shower, running hot and cold water and bath essentials. 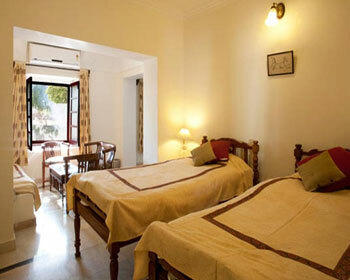 The rooms are spacious and the furnishings are a magnificent blend of colonial and authentic Rajasthani culture. 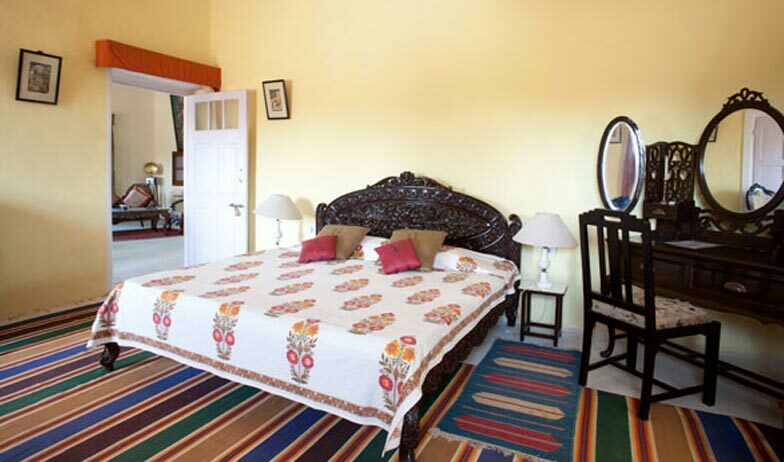 All the rooms are well equipped with facilities such as air conditioning, Wi-Fi internet connection, telephone with direct dial facility, color TV with satellite channels and attached baths with running hot and cold shower and bath accessories. Round the clock room service is provided. 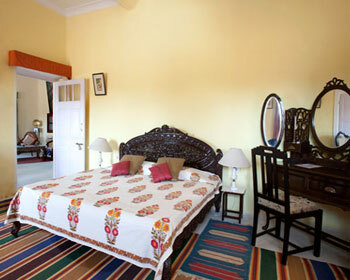 The suite has an opulent décor with gorgeous Rajasthani furnishings, traditional frescoes and hand woven rugs. The walls are beautifully adorned with old paintings and photographs that revive the colonial memories and Rajasthani culture of the place. The amenities provided in the suite are Wi-Fi Internet connectivity, color TV with satellite connection, air conditioning, direct dial facility on telephone and round the clock room service. The private baths are well appointed with shower, hot / cold water supply and bath accessories. 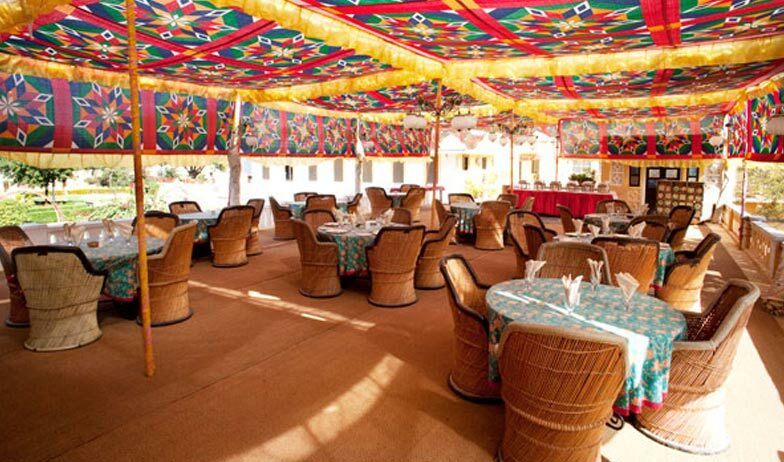 Relish the mouth watering traditional Rajasthani cuisines prepared immaculately by authentic recipes and local ingredients. 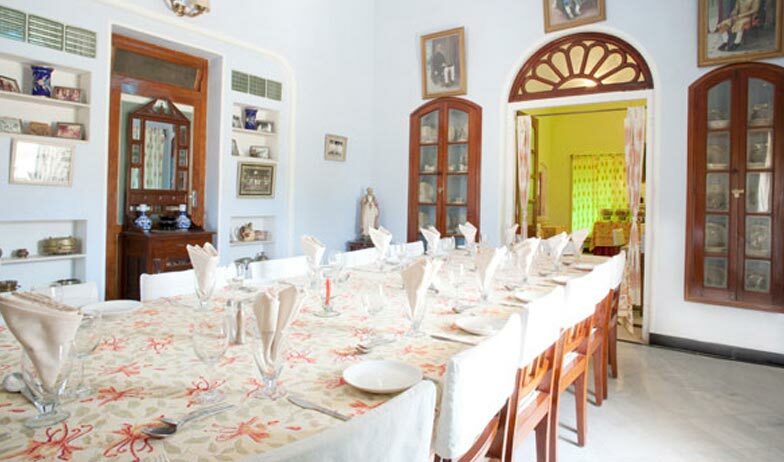 The menu also features Indian delicacies as well as savory Continental fare. Guests can enjoy their meals in the spacious dining room as well as in the outdoor seating according to their preference. The hotel also includes a well stocked bar that features a good collection of domestic and International liquor.